I’ve read and enjoyed other books by Sophie Hannah, starting with Little Face, so I really looked forward to reading this one. I have to confess to finding that I have a few personality traits in common with Amber Hewerdine – although not overly sure I should admit that in public! I am still in two minds as to whether I think the alternating view points throughout this book actually work; in places I found it a little clumsy, almost as if the story was being explained in case I hadn’t quite understood it. 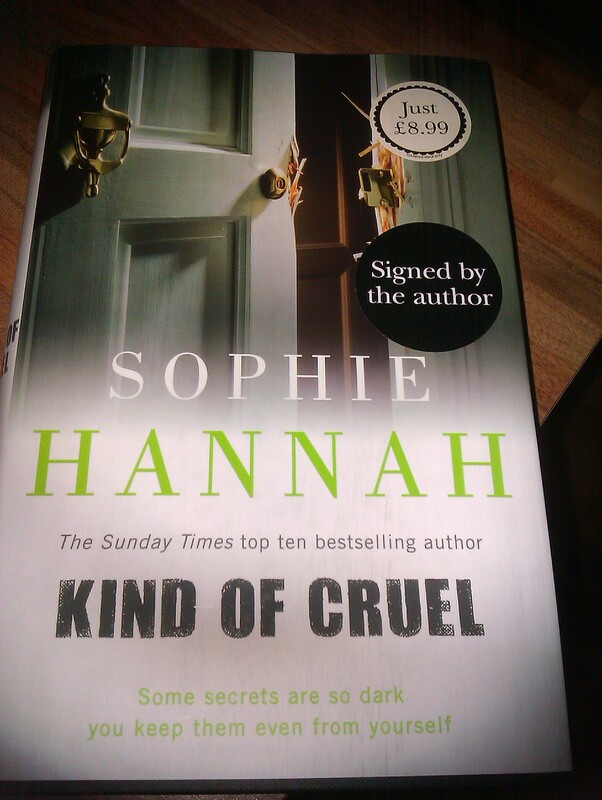 Having said that, I thought the main story was brilliant and I love Sophie Hannah’s writing style. I think the main police character, DC Simon Waterhouse, is perfect for this book and much like Gary Goodhew from Cambridge Blue he is a wonderful blend of humble, arrogant, simple and yet beautifully complex. I missed the usual sparring with his partner DS Charlie Zailer who seemed somewhat toned down in this book. It contained a little too much unnecessary phsycobabble for my liking, yes some was relevant to the story but some seemed to have been dropped in almost as a case of ‘look I found this out during my research and don’t want to waste it so I’m sharing it with you’. The story itself was very intriguing, especially as key elements of it were drip fed throughout the book. I thoroughly enjoyed reading it and found myself racing towards the end to find out if my theories were correct! I would definitely recommend this to others – and would be very interested to hear what anyone else thought of the two different styles throughout the book.